This Sport & Action episode of iMinds delves deeply into the famous cricket rivalry between England and Australia. Though the name was originally a joke about the dead and cremated state of English cricket, the Ashes is a serious match, indeed. This Test series dates back to the 19th century, with both countries competing for dominance ever since. Listeners unfamiliar with cricket will be gratified by the clear and concise background offered on the sport. Dynamic transitions of background music help guide learners through Ellouise Rothwell's expert narration. Being Australian herself, Rothwell seems to know her way around a wicket and can convey the thrill as well as the high stakes of this epic international contest. 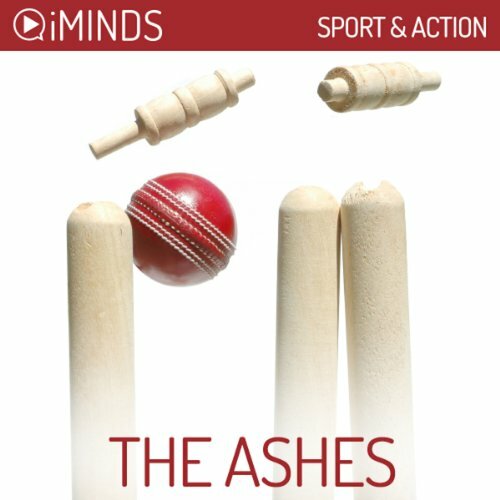 Learn about the history of crickets greatest contest, The Ashes with iMinds insightful audio knowledge series. The Ashes is a test-cricket series played between England and Australia. Throughout its long history, winning the Ashes has been seen as a matter of national pride for the two sporting rivals. Today, there is an Ashes series in both men’s cricket and women’s cricket. But the Men’s Ashes series is more widely known. Any knowledge of the Ashes requires knowledge about the sport of cricket. Cricket is played between two teams of eleven players. They play on a field that has a pitch in the middle. On the pitch there are two wickets which are 22 yards apart. One team bats and has a team member standing in front of each wicket. The other team bowls and fields. The batter’s aim is to score as many ‘runs’ as possible. The player does this by hitting the ball far enough to be able to run from one wicket to the other as many times as possible before the other team retrieves the ball. The goal of the second team is to get the batter dismissed. There are many ways a batter can be dismissed, with the two most common ways being ‘bowled out’ and being ‘caught out’. A batter is bowled out if the bowler hits their wicket with the ball and dislodges a bail that’s sitting on top. A batter is ‘caught out’ if someone fielding catches the ball the batter has hit before it bounces.